I consider myself fortunate to have graduated with a PhD in Information Technology from Kibabii University. The lecturers and other staff are approachable and very helpful. The level of attention given to students not only lets them know that they are valued but it is also critical to their development as academic scholars. I sincerely appreciate the members of the School of Computing and Informatics for the encouragement which can never be underestimated that contributed to my success.My special thanks goes to my first supervisor, Prof. Wabwoba for ensuring that, I tirelessly work to attain the degree. 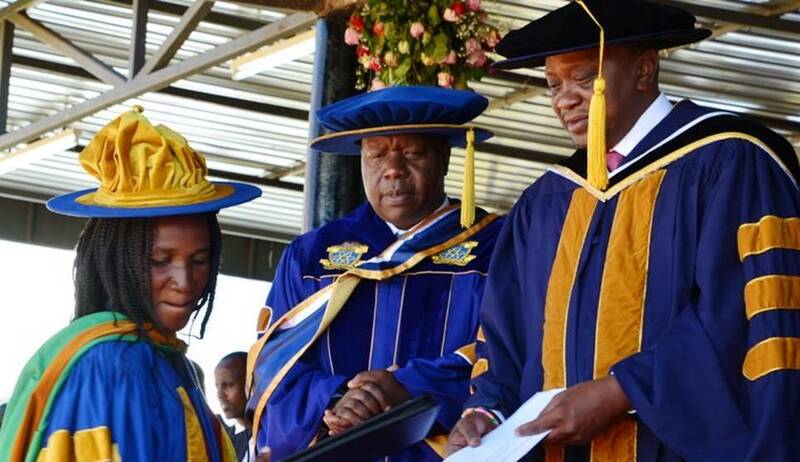 Finally, my congratulatory remarks go to the second graduates of Kibabii University whose graduation was held in December 2017.